Introducing the longest running research study of employee engagement and retention in the U.S. The Latest Employee Engagement and Retention Research… at Your Fingertips! 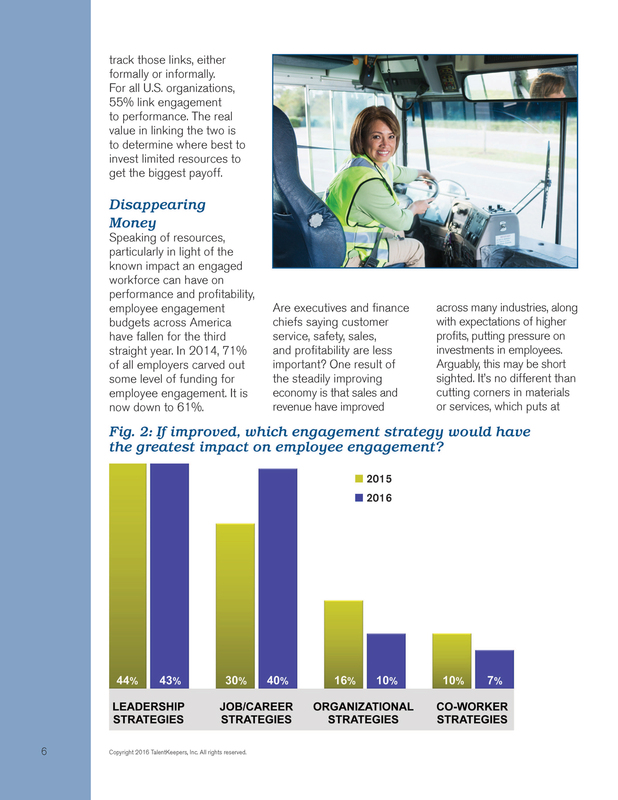 In Workplace AmericaSM 2016, our 12th annual edition of this national research report on employee engagement and retention trends, we’ve uncovered many new tactics and emerging strategies to help you engage and retain your valued employees. You’ll learn from the collective practices of 880 organizations… representing every size, industry, and geography in America today! Each year, more and more organizations are taking deliberate steps to actively engage and retain employees, and Workplace America provides you with insight into those activities. An energized workforce is your most important competitive advantage. We hope our Workplace America research informs, motivates and inspires you to energize your workplace. Our findings show a numbers of key trends that have grown stronger, as well as several surprises where formerly popular tactics are replaced with new, emerging approaches to engagement and retention. 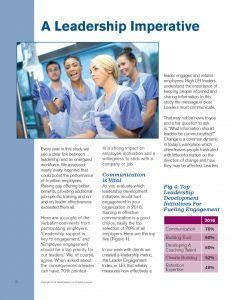 Trends including budgets for engagement efforts and how Millennials are impacting the workplace are important to understanding the effectiveness of engagement and retention efforts. Ready to drive engagement and retention. Get a fast, free, no obligation quote.